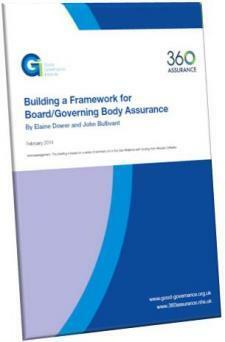 In conjunction with the Good Governance Institute (GGI), 360 Assurance has produced a guidance document examining the governance arrangements that support a robust assurance framework. The process commenced with a workshop in September 2013 jointly run by the GGI and 360 Assurance, to which all 360 Assurance clients were invited. The workshop examined the principles underpinning governance and assurance as well as scrutinising some example Board Assurance Framework (BAF) documents. Following on from this, meetings were held with representatives from 360 Assurance clients to discuss what was required from guidance and the resulting guidance was published in February 2014.